Jewish date: 22 Siwan 5773 (Parashath Shelah). Today’s holidays: Visitation (Roman Catholicism), Syaday (Discordianism), Desecration Day (Church of the SubGenius), Feast Day of Alphonse Louis Constant (Thelema). Having written about Neopaganism, your humble blogger decided to examine the Church of the SubGenius. The Church of the SubGenius is sometimes connected with Discordianism, an eccentric Neopagan group, and I happen to have a copy of The Book of the SubGenius, a central text of the Church of the SubGenius, on paper. The Church of the SubGenius is also significant enough to make the news. One of their holidays, X-Day, is periodically reported, and a child custody battle between two members gained some notice. It therefore seemed like a decent idea to get it over with and review The Book of the SubGenius. Clearly the insanity is not meant to be believed; The Book of the SubGenius in at least two places inside, as well as in the blurb on the back cover, insists its own contents are false. The mass of insanity would thus act in the same way as the Satanic aura of evil: to scare the heebeejeebees out of anyone not prepared to do the long, hard work of trying to figure out what is hidden underneath. There also is a quality of humor to the entire book, as befits a parody religion. But I have heard that there are SubGeniuses who practice SubGeniusism as a real religion, necessitating that they find something very meaningful under the huge pile of freaky goofiness. If so, what is it? Is it just a philosophy of hedonism combined with a warped sense of humor and getting the most benefit out of society with the least effort? Or is there something else hiding there? Seeking answers to these questions, I could have driven myself crazy analyzing The Book of the SubGenius and various other materials found on the Church of the SubGenius Web-site. Instead, I took a perfectly valid empirical shortcut: I sent E-mail to Reverend Ivan Stang, founder of the Church of the SubGenius and thus someone who should know the answers. He told me he was unaware of anything hiding behind the aura of insanity. Thus the Church of the SubGenius can safely be treated as a parody religion. 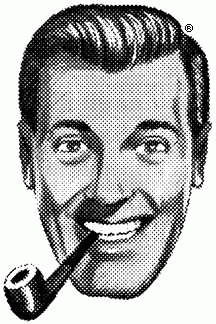 As far as a parody religion goes, the Church of the SubGenius is shallow and unfocused. Well-constructed parody religions, such as the famous Church of the Flying Spaghetti Monster, focus on one religion or even one idea and show what may be wrong with it. SubGeniusism, on the other hand, is a mishmash of bad ideas and does not accurately reflect any real religion or real religions in general. There is no attempt to show why any of these ideas are bad, only attempts to freak out the reader with them. As far as humor goes, this book will not appeal to everyone. Your humble blogger recommends that anyone who does not find disgust or shock funny skip this book and read something from the Discworld series instead.